Is It Time for a Financial Spring Cleaning? Every now and again it’s important to take a nice, long look at your finances. What better time to do so than around spring? 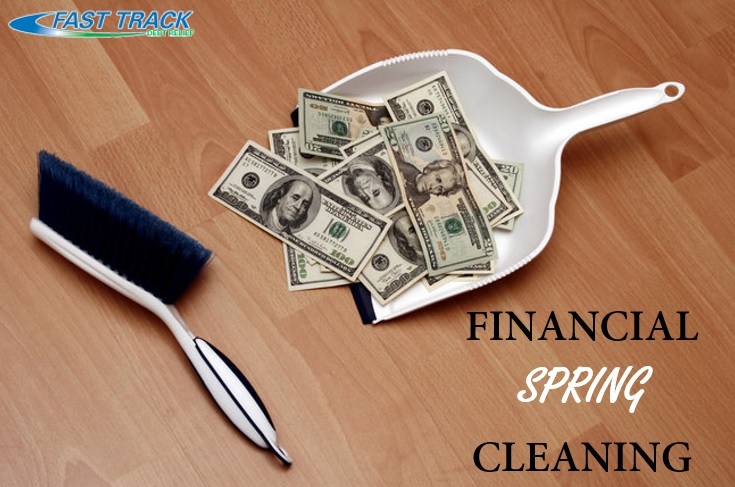 Spring is a time where cleaning comes into play physically and mentally – so why not financially? It’s a time of starting over, of beginnings, and from credit solutions to debt relief programs, there are plenty of great ways for you to feel confident and ready for the new year once more. So where do you start? You can begin by thinking of your finances in pieces, that way you don’t get too overwhelmed. Divide them up into parts, such as banking, credit cards, bills such as mortgages, retirement accounts and/or investments, and insurance. You can take the basics and apply them to each section. For example, with banking you can begin by throwing out old statements and checks, consolidate any accounts that ought to be, and tighten up your organization through the use of online bill pay and statements. Each part of your finances can most likely use less paper, and knowing where each of your bills is coming from and how it’s going to be paid can make life easier and timelier as well. For other areas, such as credit cards, if you find you’re having trouble, contact them and ask about lower rates. Remember that they want to keep you as a customer, so they should be willing to offer you an incentive to stay. Even if that works and you still find yourself needing help, there are debt relief programs available to help, as well as offer you credit solutions to make life a little easier. Negotiating lower rates can also come into play with mortgages and refinancing, as well as checking your current insurance and then shopping around to see if someone else can provide you with a better rate. For investments, you should again consolidate accounts – such as putting all 401(k) accounts from old jobs into one or transferring them all to a single IRA. You can also maximize your contributions to your IRA, which also gives you tax benefits as well. Take your time and go through each section thoroughly so you don’t miss any details. By the end of your financial cleaning, you should have fewer accounts overall that will earn more over the long term, lower interest rates so you’re paying less, and knowledge whether or not you should seek out credit solutions or any debt relief programs in order to get more assistance for financial freedom.